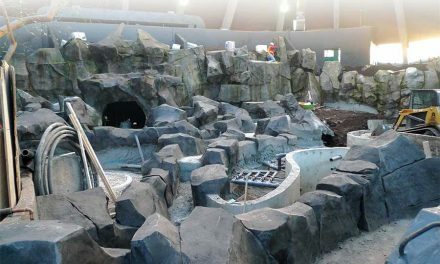 In the mid-to-late 1990s, a product was introduced that revolutionized the ICF industry. Turnbuckle bracing gave installers the ability to make slight adjustments to the wall after it was filled with concrete. No longer did installers have to struggle with assembling wooden bracing from scratch onsite and hope the wall stayed put when filled. Bracing pioneers like Shane Nickel at Reechcraft and Jerry Albert at Amazing Brace laid much of the groundwork to convince the industry that turnbuckle bracing was worth the investment. That effort has largely paid off, and today turnbuckle bracing has become industry standard. 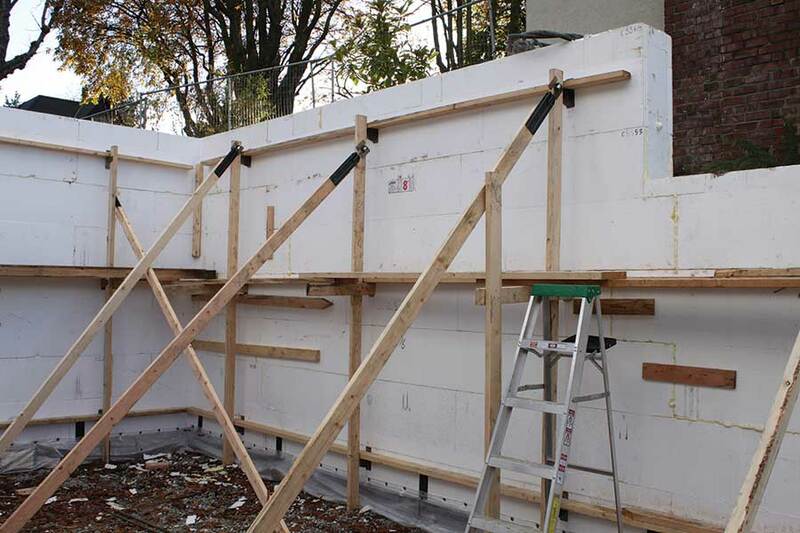 More than any other innovation, bracing has allowed ICFs to enter the mainstream construction market and create walls that are straight, plumb, and square. 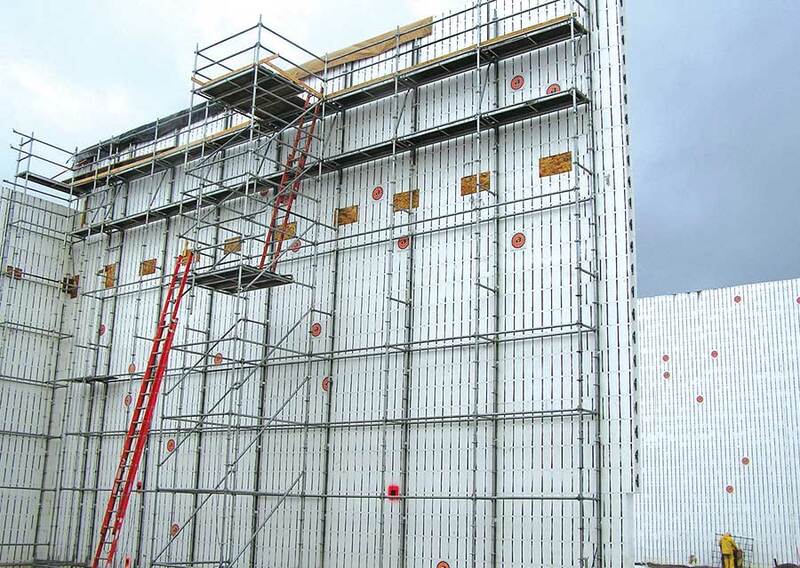 Some bracing systems are designed to work with traditional scaffolding, which can be an asset when constructing tall walls. 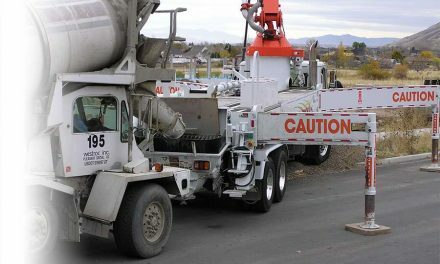 In the first decade of this century, a number of other companies rolled out innovative systems with unique advantages. Mono-Brace was one of the first with a “fold-away” design, where all parts of the brace, including guardrails, adjustment assembly, and all associated connecting pins folded into the strongback. 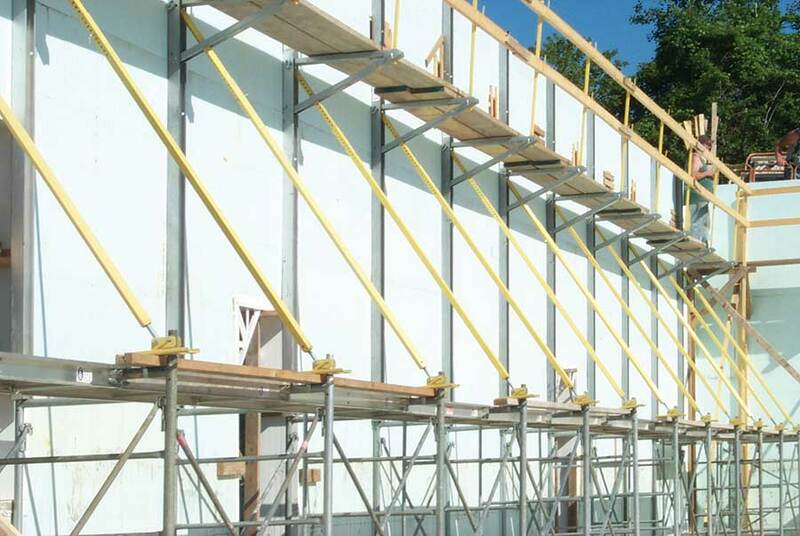 The Mono-Brace system is designed to work with regular buck scaffolding, so it has been a popular choice for tall-walls for years. In about 2007, Giraffe Brace hit the market with a robust design featuring tubular steel instead of square, which meant protected threads and easier adjustments. They quickly set a new standard for the industry with a neatly organized, easy-to-transport 24-brace crate that left competitors scrambling to catch up. Storage crates are useful for rental operations, hauling bracing to a jobsite, and moving equipment from floor to floor. Plum-Wall recently upped the ante, offering to powder coat their bracing crate in your company colors. For a small fee, they’ll laser cut your company logo into the plate steel on each end of the crate. “That’s security and advertisement,” says Chad Hiller, a senior executive at Plumwall. 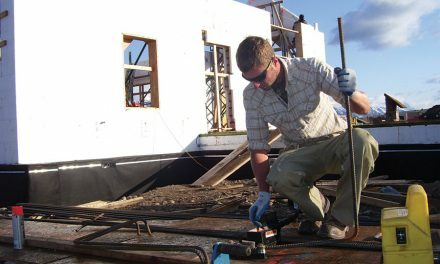 Plumwall’s brace is distinct in that the system that can be adjusted from the platform with a cordless drill. This allows a single worker to do what would require two workers with any other system. Some systems combine dimensioned lumber with a limited number of steel components to create an adjustable but low cost bracing alternative. 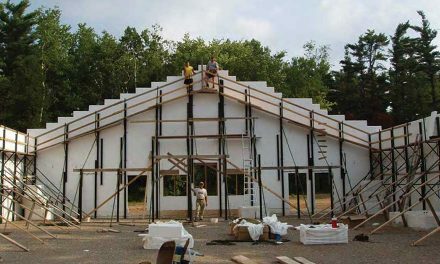 He says that horizontal bracing makes sense, since most ICF blocks go up in rows, and that the system eliminates the need for truss wire inside the forms. In short, each of the dozen brands currently on the market has advantages and drawbacks. It’s easy to get confused, so to make comparison easier, this magazine has compiled a chart listing the major features of all the major bracing systems on the market. (See the following pages). This chart is not intended to contain every data point needed for a purchase decision. Readers will note that one of the most important data points—price—is completely absent. A number of other features, like how well it can be modified for tall walls, and its ease of storage and transportation, are only hinted at. Yet the chart contains enough information that is should be fairly easy to compile a short list of candidates that meets your specific requirements. Every bracing system has unique advantages. 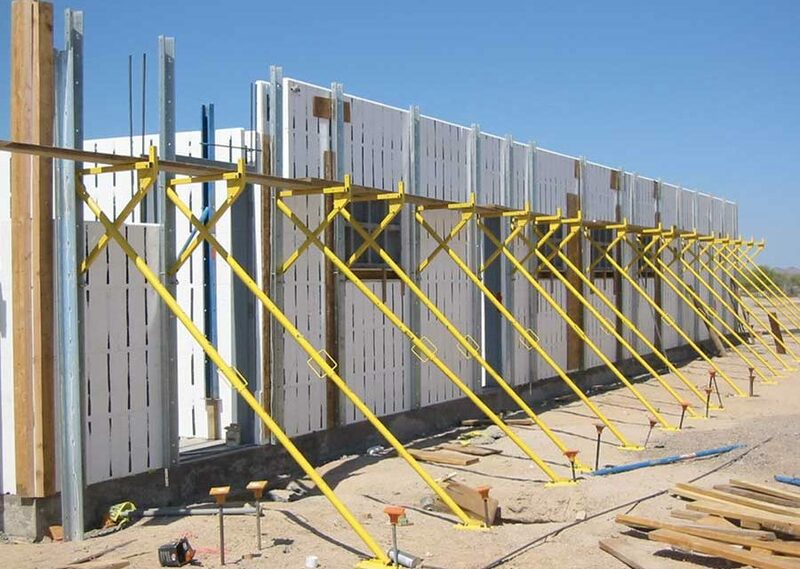 Uniscaffold, for example, excels at bracing extreme tall wall applications. Giraffe Brace makes one of the most robust systems, and Ken Williams says it’s because bracing will inevitably see some abuse. “When it’s teardown time on the second floor of a house, I’ve seen guys toss sets out the window,” he says.